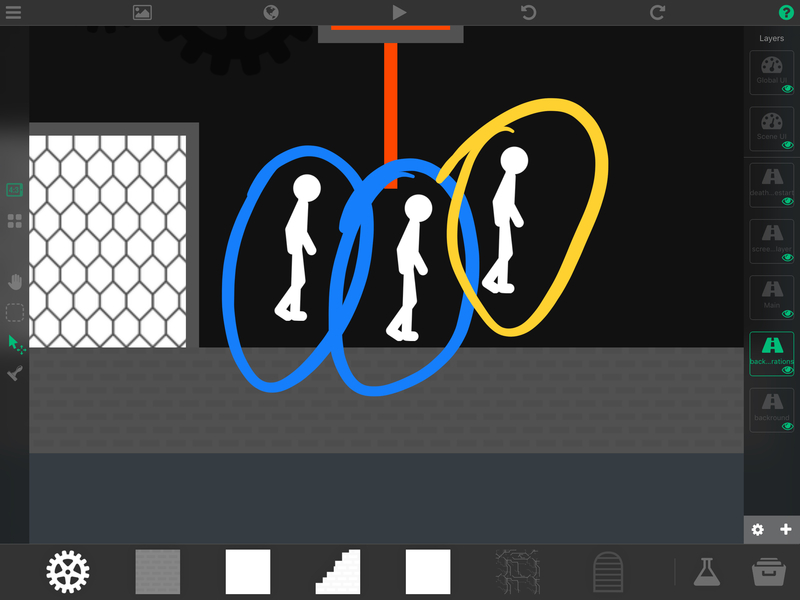 The blue ones are the copies and the yellow is the character. For some reason those copies can’t be deleted or selected at all. They disappear when the game is running but in the editor I can’t do anything to them. Sometimes I can only move them. And yes I did try to select them from different layers and no results. Also the character was moved from the “main” layer to the layer bellow it. @DGames135 Have you tried restarting hyperPad? @Aidan-Oxley I did it when it first happened but nothing changed and now when I say this I went back to it and it somehow was fixed. Maybe it was because I restarted my iPad and not hyperPad. Lol thanks anyway.